Happy April! Today is the beginning of a month long Blogging from A to Z Challenge. For the next 26 days, [no Sundays] you will be able to drop by and see what I'm up to. This is also a time that all my amazing readers can get to know new bloggers simply by clicking on the big sunflower icon on the right panel----BUT WAIT!! Read on down first and please say hi. I love to know you dropped by. 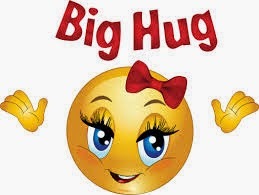 If you are new to my blog, here's a huge cyber HUG and a big fat WELCOME! I hope you dropped in often. 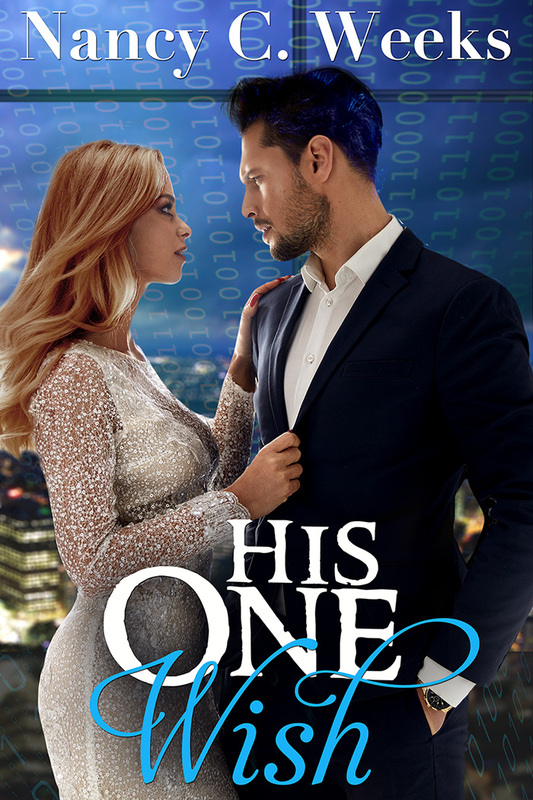 In a brief nut shell, I'm a wife of over thirty years, a mom to two amazing young adults and a romantic suspense writer. I try daily to live my life in the most awesome way possible by keeping my eyes open to all the beauty this world has to give. I have spent years as a stay-at-home mom and didn't begin writing until my youngest child started college. And to tell you the truth, that was another challenge. My sweet sisters [I have 3] challenged me that she wouldn't smoke that day if I started writing the novel I had secretly dreamed about for years. She even had the nerve to demand 10 pages by the end of the day. I can't tell you how much I wanted by dear sister to stop smoking. My mother died from COPD and it scared me to death that history was going repeat itself. I took that challenge! 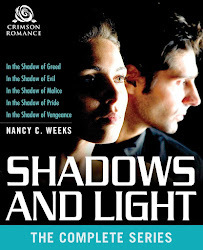 My sister has been smoke-free for five years and I have completed and released five full length novels I call my In the Shadow series. I'm now working on my next project--which I plan to share with you real soon. So what can you expect from me this month? I started this blog three years ago as my way of stepping out of my comfort zone and connecting to future readers. [yes, another challenge]. I have to say, I love being a blogger almost as much as I love writing. I plan on sharing a little about my writing process, maybe a couple views on life, my daily struggles --I'm a glass-half-full kind of person so those will be few and far between, and maybe a recipe or two because what is life without great food. Since this is my introduction to new bloggers and readers, it's a little long. I know we are all busy so I'll be keeping my post short and sweet. Feel free to take a quick tour around my website. If you comment below and decide to follow me, I will return the favor. Has anyone ever given you a challenge that led you on the your path to living your dream? Hi Nancy, it is so nice to meet you! I want to wish you the best of luck with the A-to-Z Challenge. I look forward to learning more about you throughout the month! Hi, Nancy! 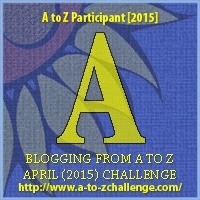 Glad to see you doing the A-Z Challenge too! What a great introduction and "how I started writing" story. As for your question, I think my husband challenges me to live my dream on a daily basis! What a lovely introduction, and how fun you and your sister had big wins from her challenge to you. Looking forward to to seeing what you're blogging about this month. Hey Nancy, great reading about you. You're indeed lucky to have such encouraging sisters! Wow, she actually got you to write all those book?! I wish there was someone doing that to me ;) Best of luck for the challenge!